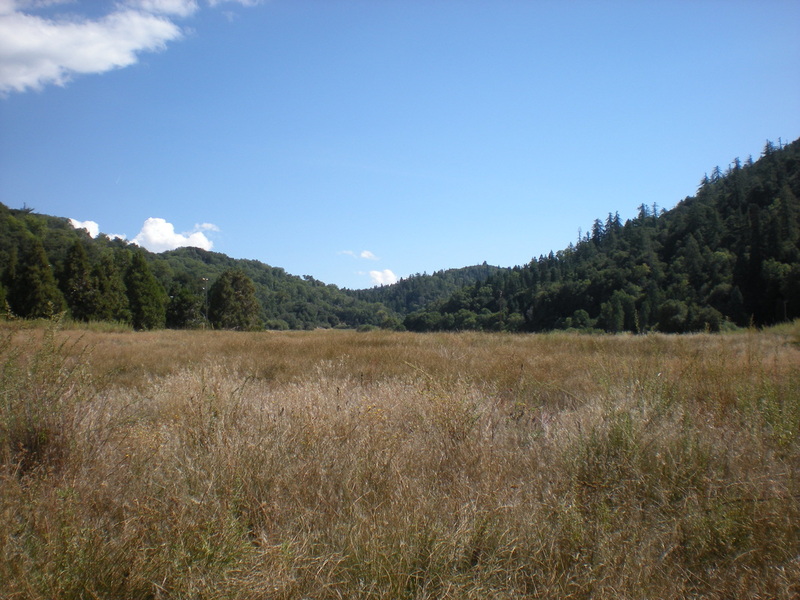 The beautiful forest and mountain meadows of Palomar Mountain State Park are in northern San Diego County on the west side of Palomar Mountain. Large pine, fir and cedar trees make the park one of the few areas in southern California with a Sierra Nevada-like atmosphere. The park features camping, picnicking, hiking, and fishing (trout) in Doane Pond. Coniferous forests cover much of the 1,862 acres, in contrast to the dry lowlands surrounding the mountain. Elevation within the park averages 5,000 feet above sea level, making evenings cool even during the summer. A number of vista points offer spectacular panoramic views both westerly toward the ocean and inland toward the desert, particularly from Boucher Hill Summit. There, you'll also find the historic Boucher Hill Fire Lookout. In normal times, some 40 inches of rainfall each year supports a wonderful forest on the slopes of Palomar Mountain, including big cone Douglas fir, white fir, incense cedar, live oak, black oak, Coulter pine, and yellow pine. Flowering trees and shrubs include western dogwood, azalea and wild lilac (both purple and white) with juncus grass, goldenrod, lupine, buttercups and penstemons in the meadow areas. The most commonly seen wildlife in the park includes southern mule deer, western gray squirrels, raccoons and striped skunks. Predators such as gray foxes, coyotes, bobcats and even mountain lions are also present, but are not often seen. ﻿If you're a bird enthusiast﻿, Palomar Mountain State Park is a terrific place to visit. Doane Pond is stocked with trout and also contains bluegill, bullhead and channel catfish. The three-quarter-mile Doane Valley Nature Trail provides a good opportunity to become familiar with many of this area’s most common trees and shrubs. Visit iNaturalist.org for a great plant guide! During the summer guided nature walks and campfire programs also provide opportunities to learn more about the cultural and natural history of this area. For further information about the interpretive programs, contact the park staff.